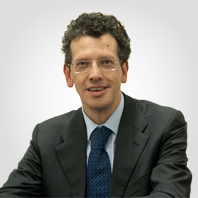 Dr. Marco Reggiori Member, born in Varese in 1961, member of the Order of Chartered Accountants since 1987, auditor, Member of the Board of the State University (Insubria). Studies: Business and Economics, University L. Bocconi University in Milan, graduated in 1985. Practice Areas: tax, corporate, business, financial, contractual, tax litigation. 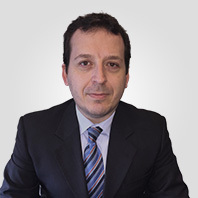 Dr. Massimiliano De Micheli Member, born in Varese in 1964, member of the Order of Chartered Accountants since 1998, auditor. Studies: Business and Economics, Catholic University of Milan. Practice Areas: tax, corporate, accounting/business, litigation, contract. 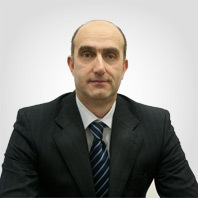 Dr. Luca Fedeli Member, born in Busto Arsizio in 1975, member of the Order of Chartered Accountants since 2005, auditor. Studies: Business Administration, Free University Institute Carlo Cattaneo of Castellanza, graduated in 2000. Dr. Cristina Moretti Consultant, born in Tradate (VA) in 1970, member of the Order of Chartered Accountants since 2003, auditor. Studies: Business and Economics, University L. Bocconi in Milan, graduated in 1997. Practice Areas: tax, corporate and business. Avv. Elena Soldani Consultant, born in Varese in 1971, member of the Order of Lawyer of Varese since 1999. Studies: Law, Catholic University of Milan, graduated in 1995; University L. Bocconi in Milan, October 1999 - December 2000 "Course in corporate tax law"; Luiss Management in Rome, November 1997 - May 1998 "Master in Business Lawyer" by Franco Di Sabato for the deepening of corporate legal issues. Practice Areas: national and international contracts, corporate, compliance with Legislative Decree 231/01 on administrative liability. Avv. Anna del Favero Consultant, born in Varese in 1970, member of the Order of Lawyer of Varese since 1998. Studi: Law, Catholic University of Milan, graduated in 1995. Aree di attività: contracts, corporate, compliance and anti-money laundering for financial institution, compliance with Legislative Decree 231/01 on administrative liability. Lingue conosciute: English and French. By using our website you consent to all cookies.